Doesn’t it seem like in our day people more than ever seem hesitant about putting their faith and trust God? Author and television host Hal Lindsey recently reported that France, a nation historically once rich in church and faith, rarely sees its citizens attend church nowadays. The numbers are depressing, for Protestants now make up less than 3% of the population, and only a mere 27% of French people say they even believe in God. More people in France believe in Allah than Jehovah, as a third of that 27% are Muslims. France has lost its faith in God. 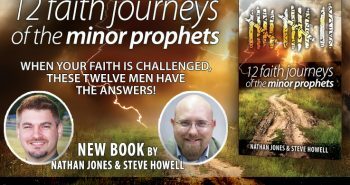 I believe if you read the following excerpt from my new book, co-authored with Steve Howell, titled 12 Faith Journeys of the Minor Prophets (available on our website and on Kindle and Nook), you will marvel at the similarities between the people in the Prophet Jonah’s time and God’s people today when asking that very same question. We’ll begin with an introductory story, an elaborations on Scripture, an imaged scenario that the text hints at but doesn’t necessarily describe. We ask that you take this story as intended—as historical fiction to illustrate historical fact. Then we’ll dive directly into the book of Jonah and learn what the prophet has to teach us concerning having faith when you just don’t feel like it. Jonah was sick of the whispers and the pointing fingers, the awkward glances and the outright rudeness. This time the question was coming from a group of pre-teen boys who either didn’t realize their voices carried across the bustling market square or simply didn’t care. Jonah turned and stared at them, his expression a mixture of annoyance and anger. Their smiles and laughter trailed off. Striding past the spices, slipping past the dates and figs, and ducking under the hand-woven rugs for sale, Jonah quickly approached the gang with a look of intensity none of them expected. One boy hastily began sweeping up a nearby vendor’s stall, his sudden interest in tidiness fooling no one. Another scurried past an animated merchant next door as he haggled over the price of olive oil with an angry customer; their gesturing arms served as camouflage and protection from Jonah’s apparent fury. But a few youths remained, calmly staring at the strange figure drawing near. Jonah stepped close and addressed the ringleader. “Something to say?” he quietly asked the boy. His bleached skin practically glowed next to the dark tunic he wore, and a wrinkled hand clutched the walking stick he used as he ventured through the massive city. Stringy hair fell across his eyes, which gazed with fire at the lanky child who stared back. Jonah paused as the words piled up in his mouth. He stopped before an insult spilled out, checked his tongue at a sarcastic comment, and reeled in the truth. So many people in Nineveh during the past two days had asked variations of that same question. Time and time he had answered; sometimes in excruciating detail, sometimes with the briefest of replies. He was tired of the reactions, each one drawn from the imaginations of the crowd. No one could truly know what it was like to be abandoned in the ocean with the swells crashing around you, to feel the waters close in over your head perhaps for the last time, to feel the shock and horror as the water gave way to a gaping mouth. They couldn’t know the terror and isolation of being inside that ghastly creature for days that felt like weeks, nor the jolt of being expelled to safety. The tale had earned him an audience, and each time the crowd of Assyrians clamored to hear more. But, he always ended with the same few words. And now, as the boy stared at him with a smirk, mistaking Jonah’s hesitation for weakness, Jonah decided to skip over the prologue and get right to the point. As the bustle of the market continued around them, Jonah drew in closer until his brown eyes were level with the boy’s. I struggled to answer. Not only was I completely inexperienced in the ways of women, but I didn’t even like Missy! At least, not in that way. She was nice enough, and decent looking, but I didn’t really want to date her. Regardless, I said I would give it some thought. A long bus ride home, some sleepless hours at night, and a long bus ride back did little to provide solace. Conflicted, I walked into school. I had no desire to say “yes,” but I had no obvious reason to say “no.” With little enthusiasm and a misguided sense of obligation, I reluctantly gave Missy’s friend the message. By the end of the day, I was the talk of the middle school: Missy and I were an item. I share this story with you to make a simple point: it’s tough to say “yes” when you don’t feel like it. To this day, I can still remember the inner squirming and dread as that single syllable crossed my lips to Missy. I can recall the uncertainty as my answer sparked a flurry of eighth-grade gossip, and I can relive the sense of foreboding knowing that I just agreed to something I didn’t really want. Still, it’s tough to say “yes” when you don’t feel like it! There is an innate human desire to resist, to ignore, to struggle, to retort, or to deny. We are either too busy, or too proud, or too stressed, or too comfortable to change our current course. We don’t understand the need for our involvement, or else we don’t care. Perhaps no other situation highlights this principle like God’s call in our life. Obedience to God’s call often brings out a reactionary “no” from us. Not this person, not this time, not this action. No. No. No. NO. NO! Our aversion to saying “yes” may be with the reluctance of a ten-year old who rolls his eyes when asked to do a chore, or the defiance of a teenager when told he can’t go out with friends. Yet, no matter the foot-dragging or the whining or the pleas, we eventually must have faith and say “yes” to God’s plans. Look through the pages of the Bible and you’ll see example after example of people charging back-first into God’s will. Want further examples? Gideon needed a fleece before saying “yes” to attacking the Midianites (Judges 6). Peter needed a vision before saying “yes” to sharing the gospel with a Gentile named Cornelius (Acts 10). Paul needed a miraculous encounter with the risen Christ and a multi-day stint of blindness before saying “yes” to Christianity and a life on the mission field (Acts 9 and following). Men and women from Sarah to Saul to Esther to Thomas have shared the all-too-human hesitation to follow God when His requests seem tough. None of those examples can hold a candle to Jonah, our Minor Prophet of choice here. His unwillingness to agree to God’s will led to the astounding events in this short book that bears his name. His “yes” required some outrageous persuasion, but his struggle to obey (perhaps more than any other person in the Bible) can reveal some deep lessons about faith. How do we say “yes” to God when He asks the impossible? How do we obey God when doing so feels like a burden or a sentence? How do we maintain faith when every fiber of our being resists? How do we have faith when we don’t feel like it? Let’s read on for some answers. 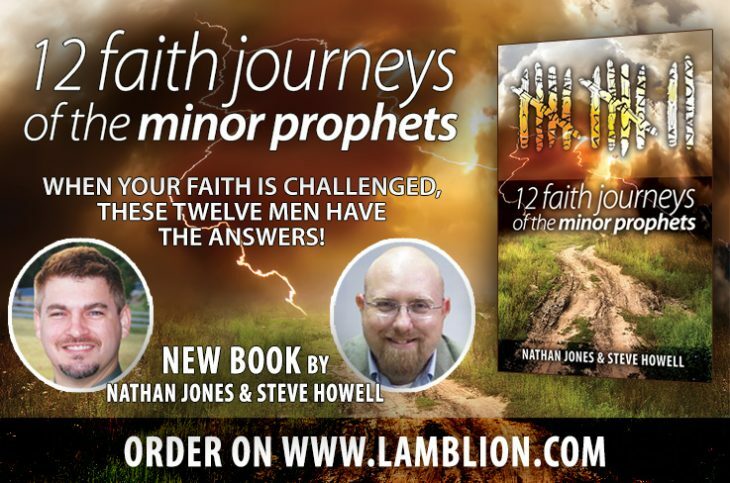 Read what Jonah learned about faith in 12 Faith Journeys of the Minor Prophets! Jonah really had his faith tested, especially being swallowed by the whale after he was thrown overboard in the violent storm. He ended up doing what God had asked of him, he knew he was wrong not to go to Nineveh and proclaim the message God had given to him. He was given a 2nd chance by the Lord.